John Oliver knows how to keep the internet hooked. 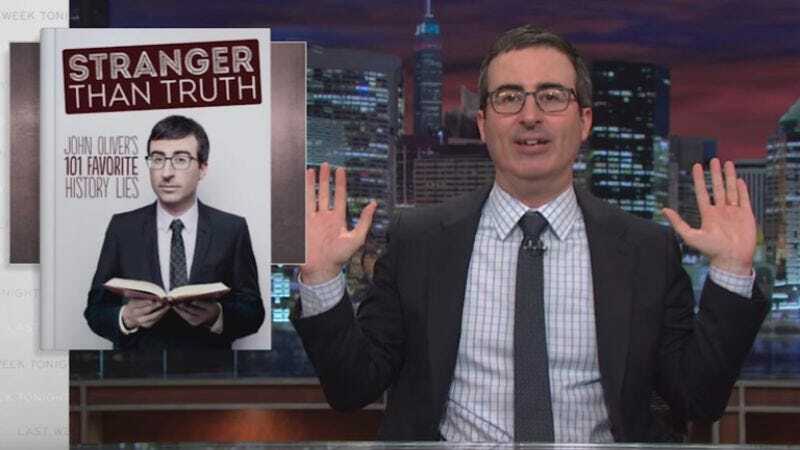 Though the Last Week Tonight show is currently in the midst of a two-week hiatus, he (and his staff) still managed to release a signature Oliver-style takedown to the web last night. In the clip below, “History Lies,” Oliver announces his new book, Stranger Than Truth, allegedly due out next spring via Simon And Schuster. There’s also a joke payoff around that seemingly innocuous sounding fact, but to get that, well, you’ll just have to watch the clip.